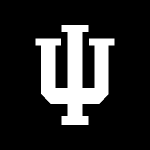 I’m an Assistant Professor of Informatics in the School of Informatics, Computing, and Engineering at Indiana University Bloomington. I direct the Societal Computing Lab (SoCo Lab). My research focuses on the study of sociotechnical systems and mechanisms to enhance physical and mental wellbeing and to facilitate civic engagement and environmental stewardship. I utilize mixed methods approaches to tackle research problems in online and geographic communities. 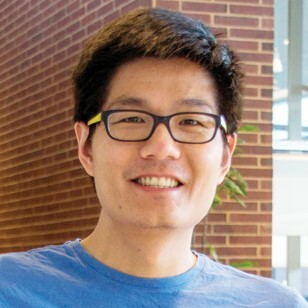 Specifically, my current research focuses on leveraging the awareness of individual and community activities embedded in sensor technologies, smart devices, social media, and online forums in the design, prototyping, and deployment of novel personal informatics interfaces and civic engagement platforms. Prior to joining IUB, I was a Research Associate and Lecturer in the College of Information Sciences and Technology at Penn State. I received my Ph.D. in Information and Computer Science from UC Irvine, where I was a Chancellor’s Fellow, my M.S. in Information Networking from Carnegie Mellon University, and my B.S. in Computer Science and Engineering from UCLA. I have also worked at Microsoft Research and IBM Research. CHI and CSCW are my academic home conferences that I attend on a yearly basis. C&C is a conference that inspires me creatively. The Digital Heritage conference is the most culturally immersive/informative conference that I’ve attended. ACM is my primary association. I also occasionally publish at IEEE and AAAI venues. I employ the Mixed-Methods approach. It typically involves observations, interviews, and surveys to contextualize current practices. These insights are then used to inform iterative designs of sociotechnical platforms with the aim to facilitate, enhance, and amplify the existing practices. Follow-up inquiries are conducted to uncover users’ appropriation strategies to assess possible breakdowns that could further inform design considerations. I have two medium-size (20lb) dogs. I love the nature and I hike extensively with them all year round. I play board games of all kinds regularly. For video games, I prefer interactive games that have a strong narrative component. I am a vegetarian and a foodie, and I’ve eaten at every restaurant in Bloomington and can normally give people reasonable recommendation based on their individual preferences. I do frequently integrate my personal interests into my research. I would like to make a contribution to the field of animal-computer interaction, interspecies computing, and animal informatics. These are emerging domains that are gaining interests in various research communities. Establishing an impact in a novel field can be time-consuming but also very rewarding as well.